HTC and Verizon’s Incredible 4G has been leaked for quite a while now from pictures to specs, and today at CTIA in New Orleans the device was finally announced officially. The DROID Incredible series has been going strong on Verizon for a while now, and they have stayed true to the form factor with the 4G Incredible as well. The screen is still 4″, straying away from the larger phone trend that is taking over the market as of late, and also retaining the plateau-style back that we all have come to know and love on a DROID Incredible. This Incredible 4G is the follow-up to the DROID Incredible 2, which was a 3G only device, and as far as specs go is a large hardware and software upgrade. This device isn’t likely going to replace everyone’s device on Verizon, but people who are die-hard Incredible fans or in search of a smaller screen may find themselves right at home with the Incredible 4G. The DROID Incredible 4G features, as I said earlier, a 4″ super LCD qHD display which is smaller than most devices available. The device also has received a processor bump to a 1.2 GHz dual-core Snapdragon S4 with 1 GB of RAM, meaning it will likely run ICS at blazing fast speeds. Sense 4 will come on top of Android 4.0, bringing everything that we have seen from the One series on the software end of things. 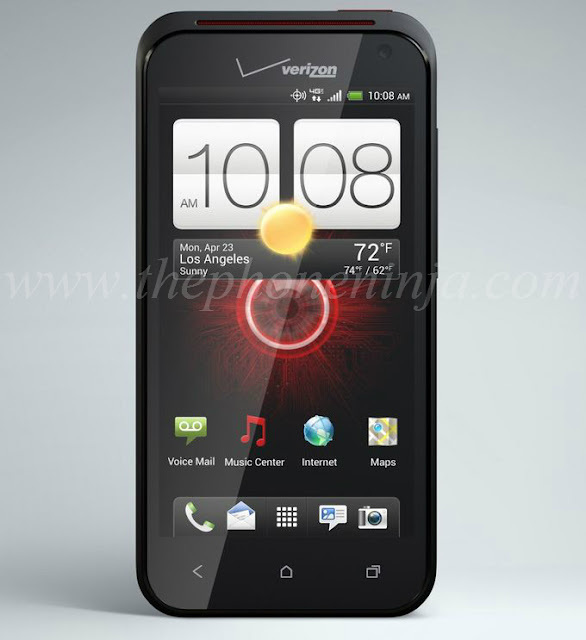 ImageSense will be complementing the device’s 8MP camera, and a standard VGA front facing camera is on board as well. Beats Audio will be bringing you all of the sound for the device, but sadly Beats headphones do not come with the purchase like they did withe the Rezound. The biggest improvement on this device compared to the Incredible 2, however, is obviously the addition of 4G LTE, something that many will agree should have been present on the Incredible 2 in the first place. Hopefully the 1700 mAh battery will be able to sustain this device for a full day on LTE, and the smaller screen size may make up for what is a somewhat small battery size. HTC has also allowed for the removal of the battery on this device, so you may want to pick up a spare battery depending on the device’s battery life.